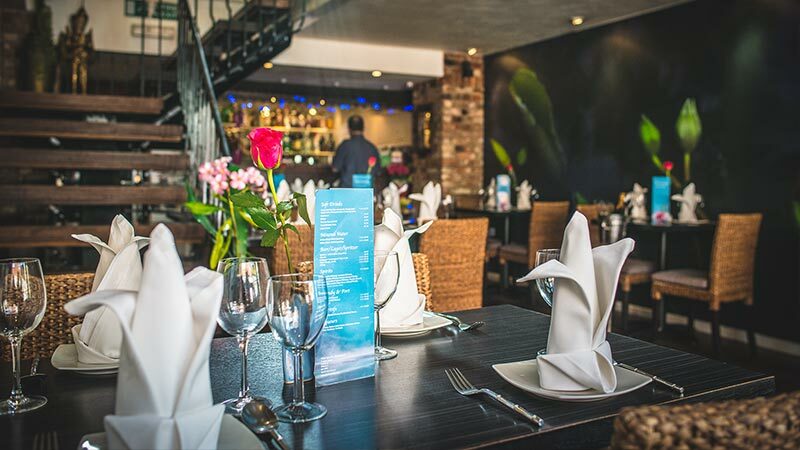 Located in the heart of the historic city of Salisbury, Thai Sarocha is a stylish, modern Thai restaurant that provides fantastic value without compromising on taste. We opened our doors in June 2008 replacing the popular Après LX1X Bistro pretty much in the shadow of Salisbury's centerpiece cathedral. Since June 08 we have built a loyal customer base who have sampled the fantastic flavours of our award winning head chef's specially crafted menu. Char - grilled duck breast, sliced and topped with tamarind sauce and fried shallots. The rich, special sweet-and-sour tamarind sauce makes a perfect complement to lightly cooked breast of duck. มัสมั่นแกงแก้วตา หอมยี่หร่ารสร้อนแรง - Massaman, a curry made by my beloved, is fragrant of cumin and strong spices. ชายใดได้กลืนแกง แรงอยากให้ใฝ่ฝันหา - Any man who has swallowed the curry is bound to long for her. Are you getting tired of the same old sweet and sour chicken or pork? A deep fried fillet of cod topped with an assortment of fruits and vegetables - mushrooms,tomatoes and caramelised pineapple, this is better than a take-away any day! 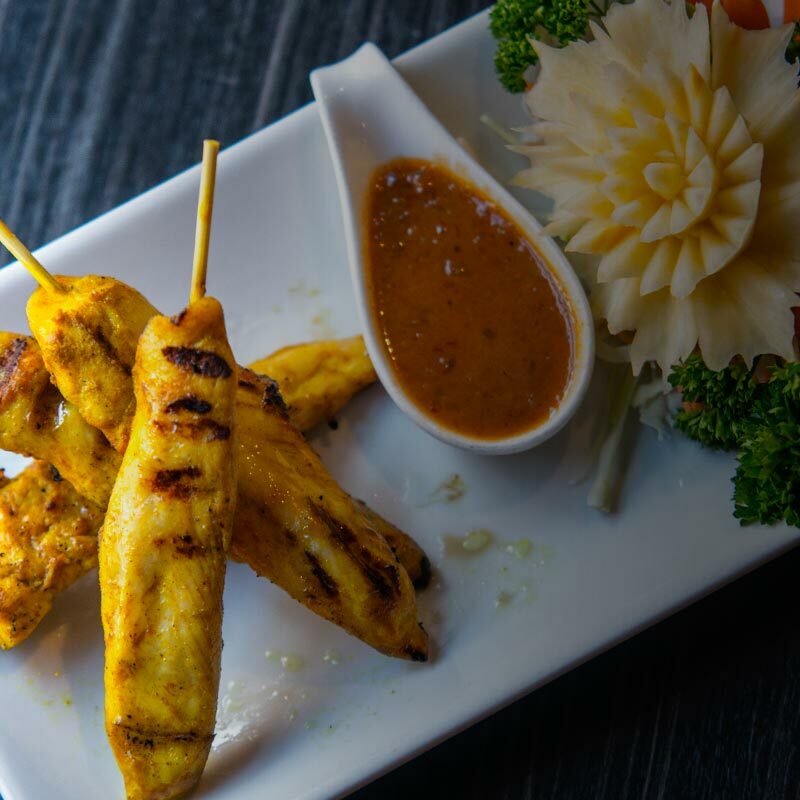 We know you love coming to Thai Sarocha to get your fix of tasty Authentic Thai dinner. That’s why we’re making it even easier to get the whole family together for their favourite feast. Virtually in the shadow of the Cathedral, just off the High Street, this is a delightful setting to enjoy an authentic Thai meal. © Thai Sarocha. All Rights Reserved.